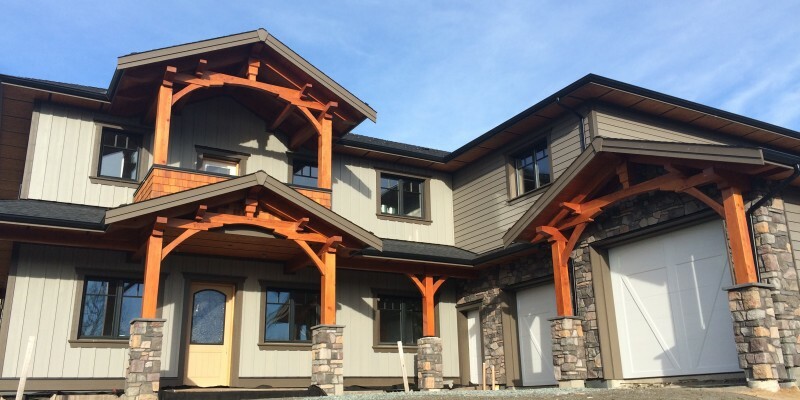 January 2016 - Sonbuilt Custom Homes Ltd. Some of the Sonbuilt team will be at the Chilliwack Home & Leisure Expo this coming Sunday representing the Canadian Home Builders’ Association of the Fraser Valley. We’ll be there Sunday from 11am – 4pm in booth 148. The Canadian Home Builders’ Association of the Fraser Valley is the representative voice of the residential construction industry in the Fraser Valley region of British Columbia. 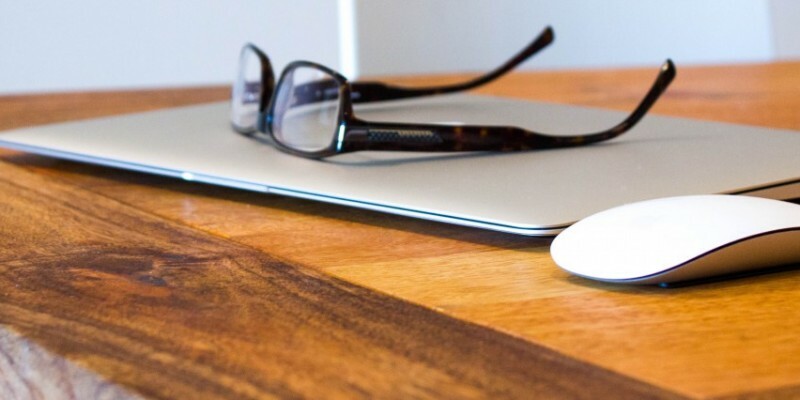 The mission of the Canadian Home Builders Association of the Fraser Valley is to encourage professionalism and integrity in all aspects of the home building industry and to have a voice in government and community affairs where it affects our industry. The benefits to the homeowner are the availability of quality housing in the area plus a homeowner can find qualified people to do renovations, building projects, professional services, and supply companies. Sonbuilt Custom Homes has been a member of the CHBAFV for a number of years. Jonathan Zerkee, president of Sonbuilt, served as President of the CHBAFV from 2012 to 2014. We continue to be actively involved in volunteering our time to support the Association! Stop by and say “hello”! Hope to see you there! 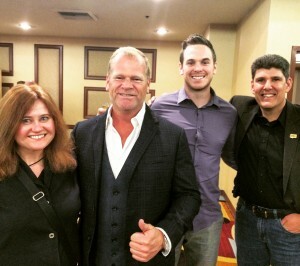 IBS 2016 and Mike Holmes! Last week we attended the International Builders Show in Las Vegas. The show is a massive home show with vendor booths from all over the world. From construction software to the latest in geo exchange and solar, we saw it all. While the show itself was impressive, we were privileged to spend one day at the show with Mike Holmes, a Canadian residential home improvement contractor and television show host. Also with us were members of Mike Holmes’ family and his support team. 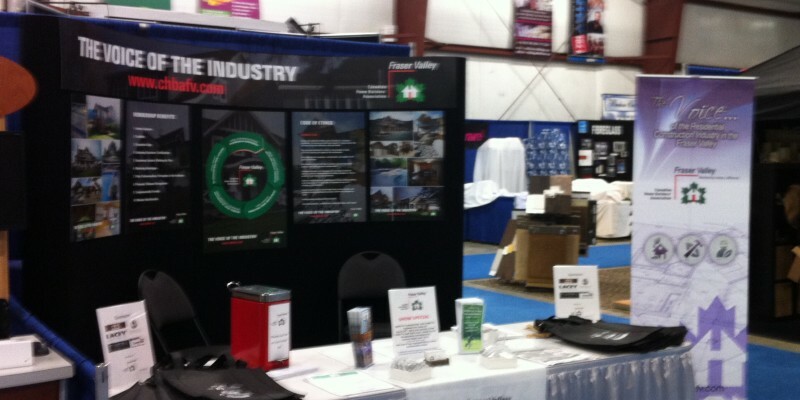 We visited various vendor booths, saw product demos, and learned more about healthy, energy efficient building. It was a lot of fun! Over the next couple of months, we will be adding information to our website and officially announcing that we are a “Holmes Approved Homes” builder. You can see what this means by clicking here. We’ll be sharing our story of how we were found by the Holmes Group in coming weeks on our blog. Be sure to check back for updates! 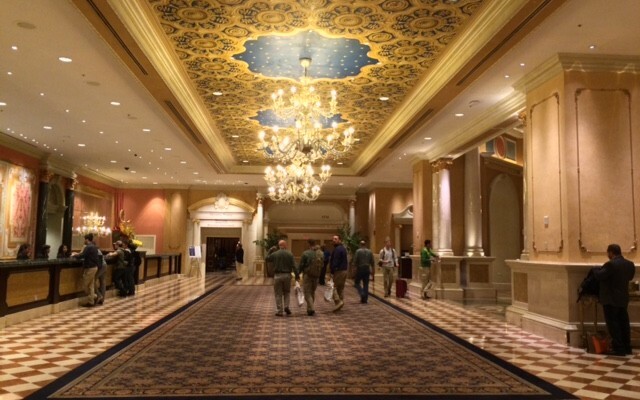 Besides attending the show, we also spent one day in Las Vegas taking in the first ever Holmes Approved Homes Summit with other builders in Canada. This was our first time meeting many of the builders that are also part of the Holmes Approved Homes program. It is an honour and privilege to be part of this group of builders dedicated to building better. We will be in a couple of Home Shows in the month of February so be sure to visit our Facebook page for more information. Mike Holmes & Mike Holmes Jr. Fishing a new cable or wire behind walls can be quite a process after a home is built. It can be expensive too, especially if drywall repairs and fresh paint are involved. 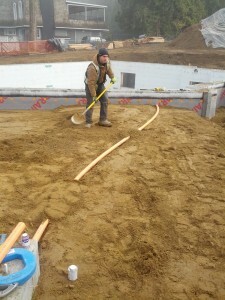 We generally install several lengths of conduit in various locations during the construction of a new home. 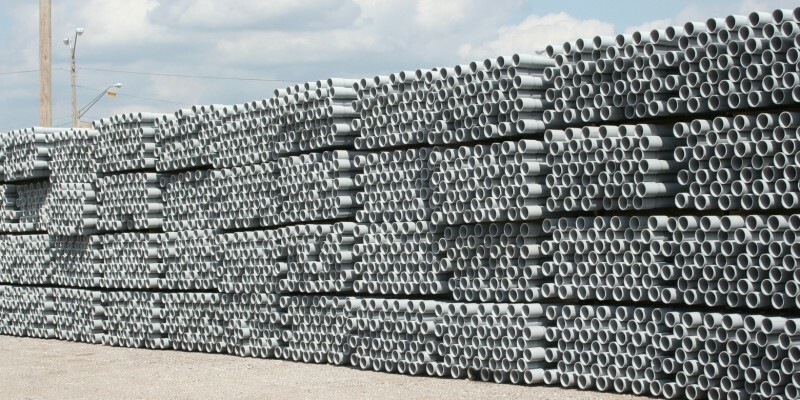 Conduits can be buried in the ground, behind the drywall, or in the attic. By installing conduit, you are free to change or upgrade wiring long after your home is done. We are often asked “What is the difference between a custom home and a spec home?”. When someone builds a custom home, the future home owner has full control over the design of the home and what goes in it. A spec home is typically built by a builder before the future buyer is involved. In a spec home, the builder chooses the style and finishes in the home. 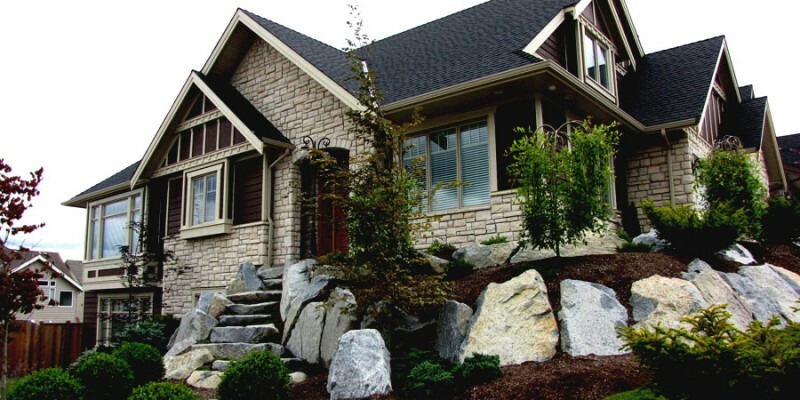 As a custom home builder, our customers are involved in the process of creating their new home from start to finish. We both design and build. No two homes are the same. Each home we build is unique for each customer we work with. 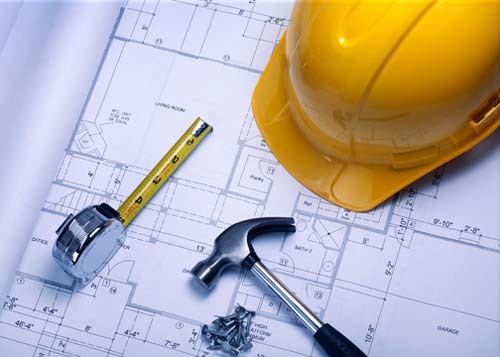 If you are dreaming of your own home and wish to build one day, contact us today! Visit this page for more information on the Sonbuilt design process. The best way to keep a workplace safe is to maintain a clean job site. An organized builder ensures a site is cleaned on a regular basis and tools and materials are stored in an orderly fashion. By doing so, the workplace is kept safe from tripping hazards and other dangers. It’s not hard to keep a site clean if garbage, recyclable material, and scraps are removed regularly. Kudos to the Sonbuilt team on their ongoing effort to keep work sites safe and tidy! You’ve been dreaming of designing your home for years and now the time has finally come to build the home of your dreams. A home that is uniquely you – designed specifically for you and your loved ones. Our own experienced designer is ready to help you bring your dreams together, working out the details to make your custom home even more perfect than you ever imagined. Our design process involves us getting to know you and your specific needs. We spend time listening and looking at photos you’ve collected, or drawings you’ve sketched. These help us learn more about you and your lifestyle. We will take the time to carefully walk your chosen property, then, with you, decide how to best situate your home to allow for natural lighting, convenient driveway and front door access, and scenic views. We maximize on closet space and storage. Our homes offer plenty of well lit and generous closets as well as hidden storage areas for organized living. Ask us how to best design inexpensive storage space! We minimize the length of hallways so you aren’t paying for unnecessary square footage. If we are aware in advance of your vehicle sizes, we will endeavor to design garage space to accommodate your vehicle needs. We’ll even ensure we design the space for parking RV’s, trailers, recreational toys and boats if space on the property permits. Click here for more information on our design process. Now is the ideal time to get started. Contact us today! A heat recovery ventilator – Each Sonbuilt home and provides fresh air and improved climate control. You will notice the fresh-air difference in your home! A home needs to breathe air in and out to stay healthy and fresh. By using an HRV, we ensure our homes feel fresh-air inviting in the summer and cozy and comfortable on chilly winter evenings. Walls and ceilings – insulated beyond what is required by the building code. High-Performance ENERGY STAR windows, patio doors, and skylights – Our high performance windows are double and/or tripled glazed with low-e and gas filled meaning heat stays in during the winter, and stays out in the summer. ENERGY STAR products – such as lighting and appliances. 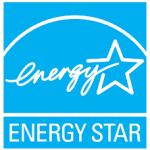 All Energy Star homes are required to be inspected and certified to ensure that the home is truly Energy Star approved. Contact us today for more information! We are pleased to reveal our newly designed website for Sonbuilt Custom Homes! Check it out! This new website is more agile, easier to navigate, and entirely mobile friendly. It’s designed to allow our web visitors to find information quickly and easily. Our main goal in designing this site was to help our clients and potential customers get to know us better and get a feel for who we are as a company. We are happy with the results and look forward to adding to it in the months ahead. Carmen Zerkee, Sonbuilt Custom Homes Ltd.